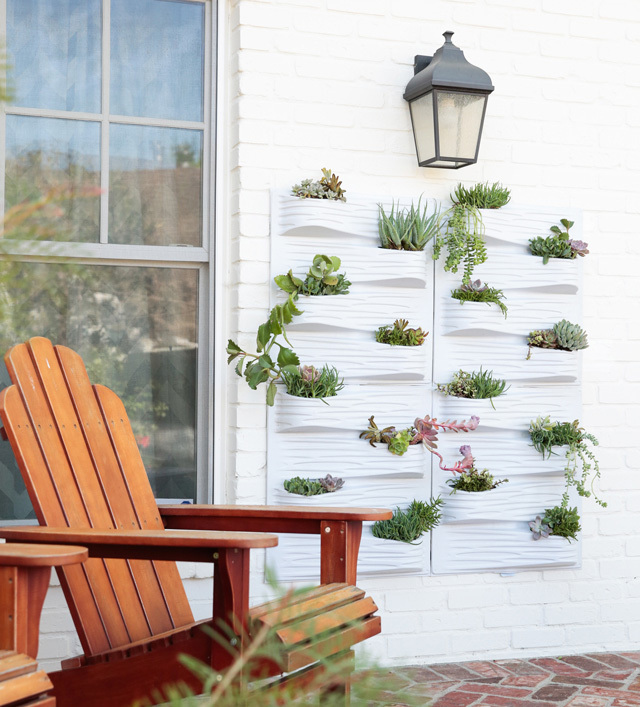 I love the look of an outdoor vertical garden, but installing a collection on a brick or stucco surface can make the project impractical and daunting! 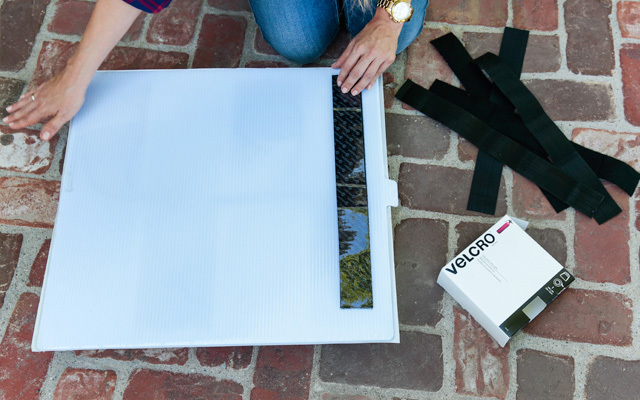 Though, VELCRO® Brand Industrial Strength tape makes what could be a 6 hour project, something you could easily tackle in less than 45 minutes! 1. Clean and dry wall surface before application. 2. Peel tape from fastener and press firmly onto the back side of your garden vessel. *Make sure the back surface is flat. 3. 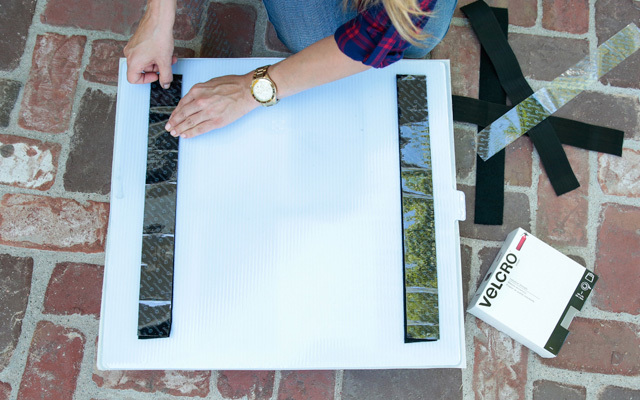 Peel away clear backing from the other side of the tape and place in the exact location you would like on your outdoor surface. 4. Repeat until all garden vessels are placed exactly where you want them. Note: Adhesive reaches maximum strength after 24 hours, so you probably want to let it rest before proceeding. 5. 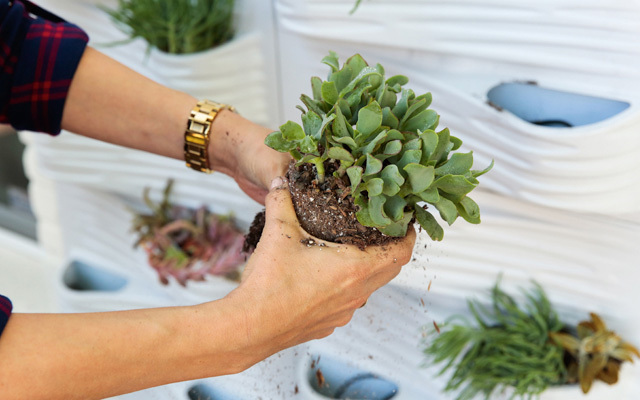 Plant soil and succulents (or your plant of choice) into each vessel. Lightly mist each plant with water. That’s it! You have a beautiful decorative piece that can add a little life to an otherwise plain area.